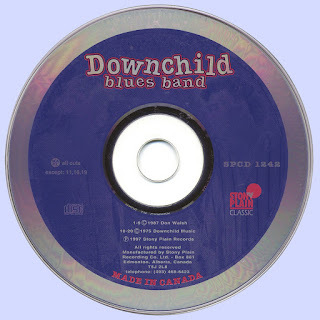 Significant music from a band's long career The 20 songs on this album are significant parts of Downchild's long history as a group that's often described as 'Canada's blues band*—an ongoing institution that still brings rockin' good times to stages across Canada, and, more frequently these days, in the United States as well. The two albums from which these songs have been taken—neither of them previously released on CD—were recorded 12 years apart, but demonstrate the remarkable consistency that has marked the band's work since its foundation in the late '60s. “It's Been So Long”, from which the first nine tunes are taken, was the band's return to the studio in 1987 after a five-year absence from recording—caused in part by the healing process necessary following the death of pianist Jane Vasey in 1982. Vasey had been with Downchild for nine years before she died, and her successors included Gene Taylor (who later left to join The Fabulous Thunderbirds) and Mike Fonfara, heard here as a hired session man (on organ) and later to join the band on piano. More horn-driven than previous Downchild albums, “It's Been So Long” marked the final appearance on record of Tony Flaim, who left shortly afterward, following a lengthy period as the band's singer. 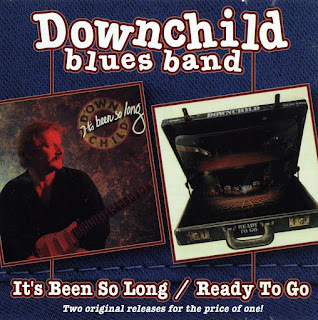 It also marked the first appearances with the group of Pat Carey on tenor sax; both he and Mike Fonfara, a decade later, are still proud to be Downchild members. Other participants on the sessions that produced the first nine songs on this album include Mike McKenna, the one-time co-leader of McKenna Mendelson Mainline, and currently leading his own band, Sidewinder, and drummer Sonny Bernard!, a veteran of the classic lineup of Crowbar. The centre of the music that comprised It's Been So Long is, of course, Donnie Walsh himself; not only did he write almost all the tunes he plays solid guitar throughout. He also offers some spectacular harp solos, particularly on Bop 'Til I Drop (for which there was a video featuring, among others, Ronnie Hawkins) and on Off the Cuff, a roaring instrumental that still has its place in Downchild's live performances. Speculation about the autobiographical content of both Bop 'Til I Drop and Don't Mind Dyin' is probably pointless, but there is little doubt that when the album was released on Stony Plain, it signaled an upturn in the band's fortunes—and was a welcome return after five years away from the studios. “Ready To Go” was originally recorded in the summer of 1975 and released by CRT of Canada, a label under the direction of Ross Reynolds (now president of Universal Music in Canada) that had seen considerable success with the upfront marketing of music by the likes of Lighthouse and a variety of other Canadian artists. The tracks were recorded in RCA's Mutual Street studios in Toronto, the same space in which Moe Koffman had recorded Swinging Shepherd Blues and Stomping Tom Connors had cut such gems as Sudbury Saturday Night and Bud the Spud The band at the time was at the height of its popularity, touring across Canada playing for major crowds in clubs from Halifax to Vancouver. when the band started in 1969, teamed with drummer Bill Bryans to form a solid rhythm section. Bryans, of course, was later to go on to fame as the co-leader, co-writer and drummer of The Parachute Club, whose anthemic song Rise Up was one of the biggest Canadian hits of the '80s. 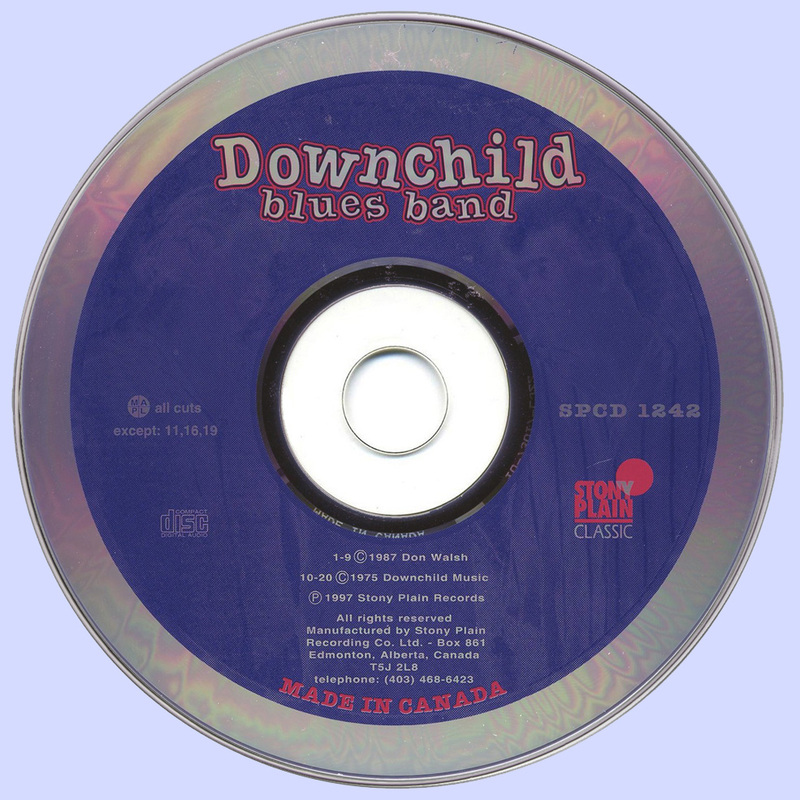 Here, then, are two snapshots of Canada's best blues band, taken a decade apart—both illustrating perfectly Downchild's commitment to the music, their warm sense of humor, and the optimistic spirit the band still brings to its work.